On 2 August 2018, the Bank of England (BoE) increased the base rate of interest, taking it to 0.75%. Interest rates going up is bad news for those with mortgages, who will see their monthly repayments go up. But could savers finally see better returns on deposits? Could you afford your mortgage if your rate goes up? 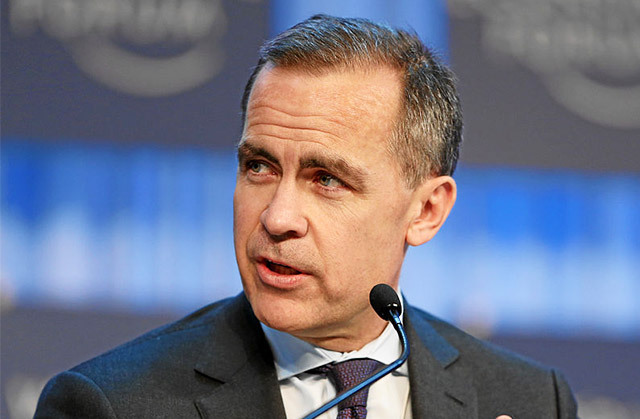 The base rate of interest is set by the Monetary Policy Committee (MPC) of the Bank of England (BoE). It is the price banks and other commercial lenders 'buy' their money at, and is the interest rate that all others follow. That means that if the base rate goes up, the interest rates rise on commercial mortgages, loans, credit cards and savings accounts will too. The base rate of interest had been at the historically low rate of 0.5% from 2009 to help stimulate the economy following the financial crash of 2008, and was taken even lower after the Brexit referendum to 0.25%. However, the rate has started to increase slowly — first to 0.5% in November 2017, then to 0.75% in August 2018. "It would not seem unreasonable to me to expect that once normalisation begins, interest rate increase would proceed slowly and to a level in the medium term that is perhaps about half as high as historical averages." As rates have averaged around 4.5% over the course of the BoE's 300-year history, this could mean a gradual rise to 2.25%. How will mortgages be affected? Looking back at the past you can see how mortgage rates are highly sensitive to changes in the base rate. If we assume that mortgage rates will increase roughly in line with the base rate, we could roughly guess how much the cost of mortgages would change. 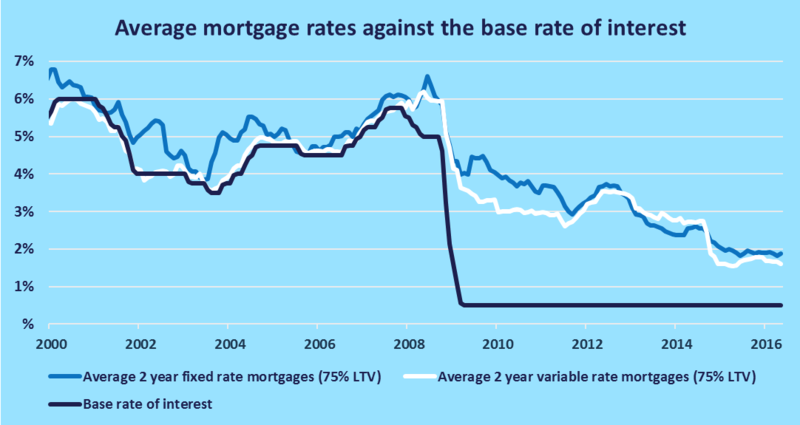 But many other wider market forces affect mortgage rates, so don't bet on the base rate changes alone. Is it worth fixing a mortgage rate? A fixed mortgage rate will set your mortgage rate for a period of time (typically two, five or ten years), as opposed to a variable rate which will vary at your lender's discretion. Knowing when to fix a mortgage rate is tough - whilst fixing protects you against rate rises, you risk being caught out, as rates may become cheaper and you'll be stuck with a relatively high rate. Low interest rates can lead to a common conundrum - are you better off overpaying on your mortgage or putting any spare money in savings? The first thing to ask yourself is whether you have the option to overpay on your mortgage. Not all mortgages allow overpayments, and those that do may charge you for the privilege in the form of a one-off fee or a stepped fee. Even then you should ask yourself whether you can afford it. Savings are great for earning interest, but are also a great fallback in the event of something going wrong around the house, or in the event your personal circumstances change. However, that should be balanced against what you could save. Taking advantage of the current situation of relatively cheap repayments to pay back more of your debt means lower repayments in the future should rates eventually rise. In addition, the low base rate means savings might be put to better work to pay back more of your mortgage, rather than earning around 1-2% AER in a savings account. If you still want access to your savings you could consider an offset mortgage. What can you do if you're getting a mortgage or remortgaging? If your outgoings are tight and you can't afford the unpredictability of a rate rise, then fixing gives you reassurance you can afford your mortgage, no matter what happens. If you are more financially secure it could be worth waiting it out to see how cheap rates can go. In either case, make sure to compare mortgages on cost - consider all the fees (booking and exit) and always look at the APR as well as the initial rate. You should always carefully consider what you can afford now and seeking independent financial advice before getting a new mortgage is always wise.